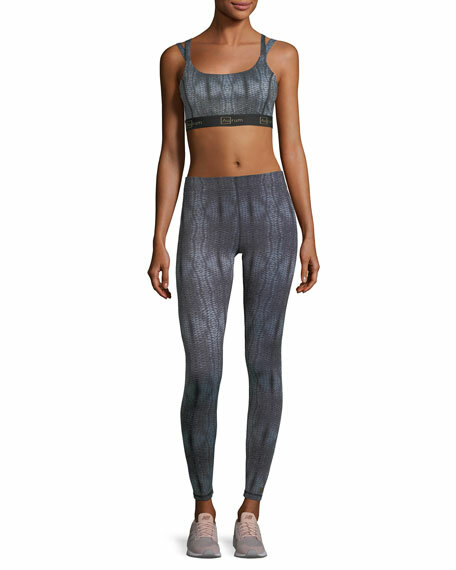 Aurum "Radiance" leggings in printed performance fabric. For in-store inquiries, use sku #2333170. 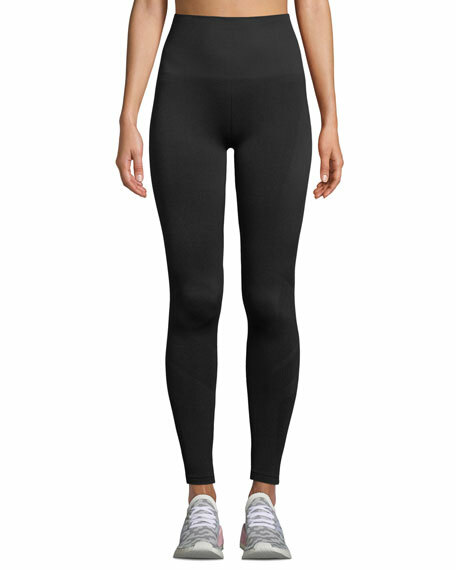 Lanston "Rhys" leggings in standard compression fabric. Regular rise; wide waistband. Mesh inserts at sides. Side pockets. Second-skin fit. Pull-on style. Ankle-length. Nylon/Lycra spandex. Machine wash. Made in USA of Italian materials. 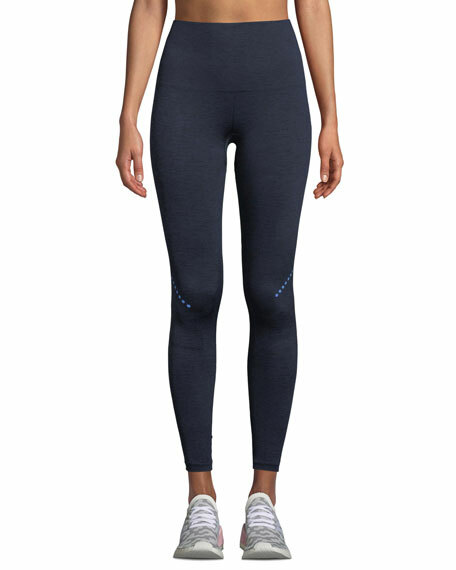 LNDR "Blackout" leggings in marled performance fabric. 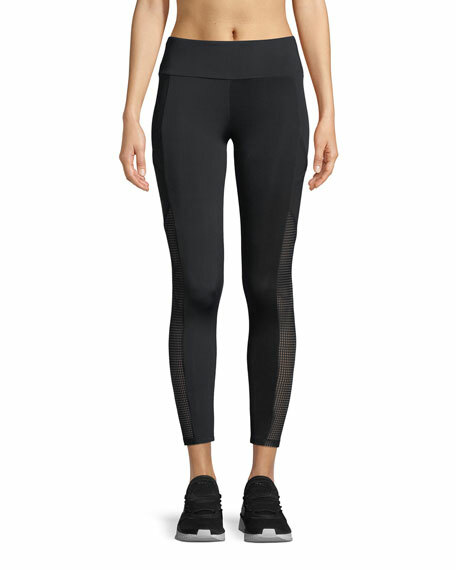 High-compression for an even, sculpted silhouette. Quick drying, anti-odor, and antibacterial. Wide waistband sculpts and supports lower abs. Reflective details at knees. Second-skin fit. Ankle length. Pull-on style. Nylon/spandex. Made in Portugal. 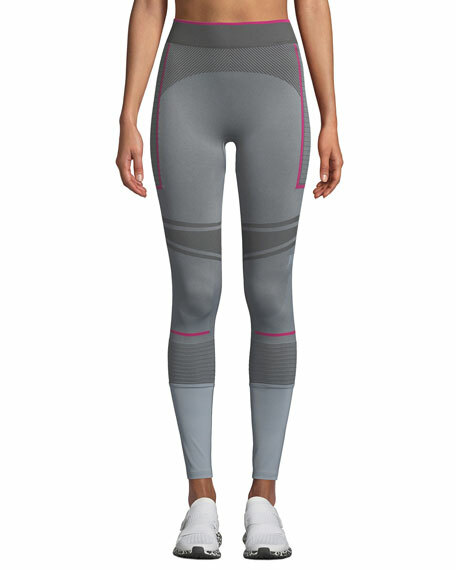 LNDR "Eight Eight" leggings in compression performance fabric. Antibacterial, hydrophilic, breathable paneling. Wide waistband sculpts and supports lower abs. Flattering, streamlined fit. High-waist. Ankle length. Pull-on style. Nylon/spandex. Made in Portugal.